SEO Effect > SEO tools: comprehensive and effective! SEO tools: comprehensive and effective! Find keywords with high traffic and low competition: your niche to score in Google. Compare your SEO traffic potential with costs in Adwords. Get to know your weak points. Discover strong points of your competition.Find those improvements that increases your rankings..
Tools to find link prospects for on-line PR and Buzz. Extract email, and other contact data. See on what prospect websites you already have links. Get grip and focus on your SEO Efforts. Monitor Rank positions, Traffic share, link profile and p.a. ‘high potential’ en ‘SEO business case’ reports. Better search engine visibility. More visitors matching your goals. and feature rich for SEO pro’s. SEO Effect is proud to deliver release 3.0: Link building SEO tools. In combination with an advanced Keyword Research Tool, Page optimization tool and SEO Effect Trends, this makes a powerful combination. More tools to come, so stay tuned. Want to try SEO Effect and see for yourself? 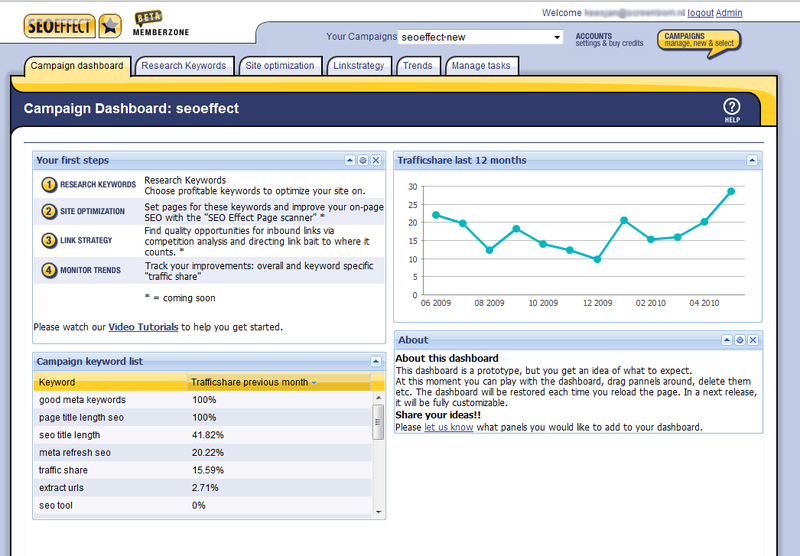 Please sign up and start with our free trial of SEO Effect tools!